A couple of years ago I didn’t even know what a vignette was. It sounded like some kind of art or photography technique that I would never be able to master. We’re not talking title pages (or rocket science for that matter) so my simple definition of vignette is a grouping of similar items in a pleasing design. But please, don’t go calling HGTV or anything! 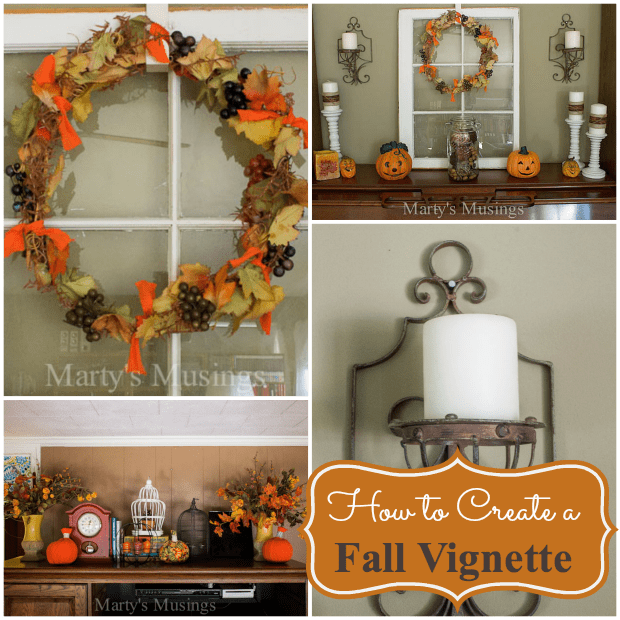 Somehow last year I was an expert (hardy har) and shared these tips on how to create a fall vignette. 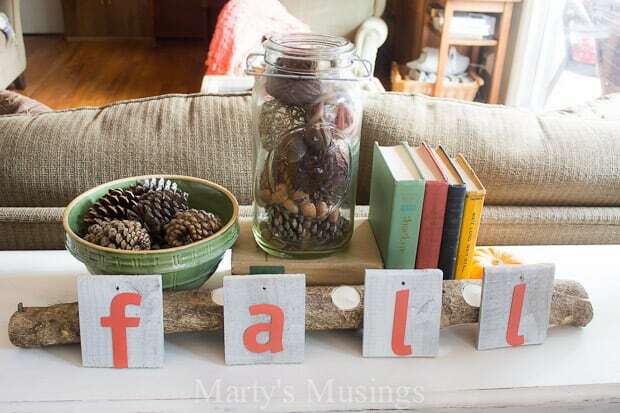 Repurpose items and swap them out with other home decor. 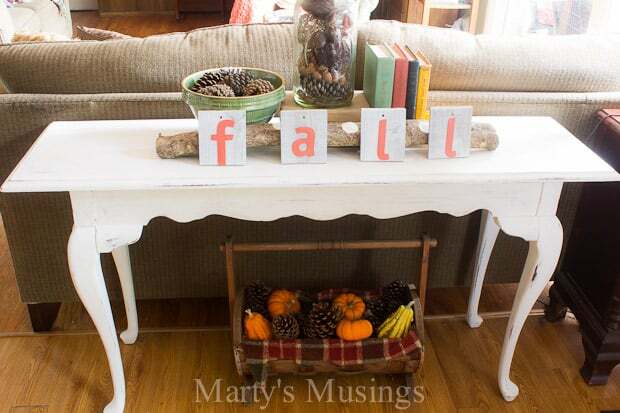 Shop at yard sales and thrift stores all year long. Use natural elements. They’re free! 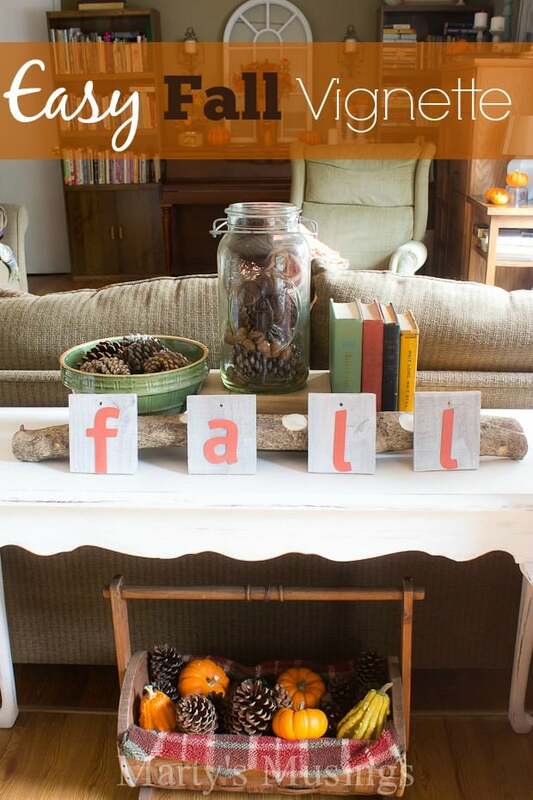 Add your own style to your existing decor. 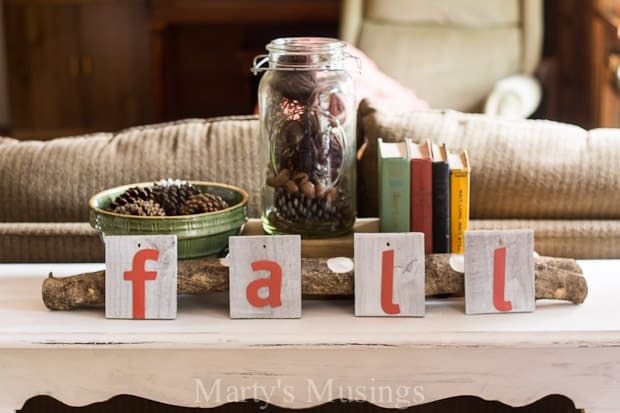 I guess I can surmise that my message is consistent because I approach all my DIY projects this same way! 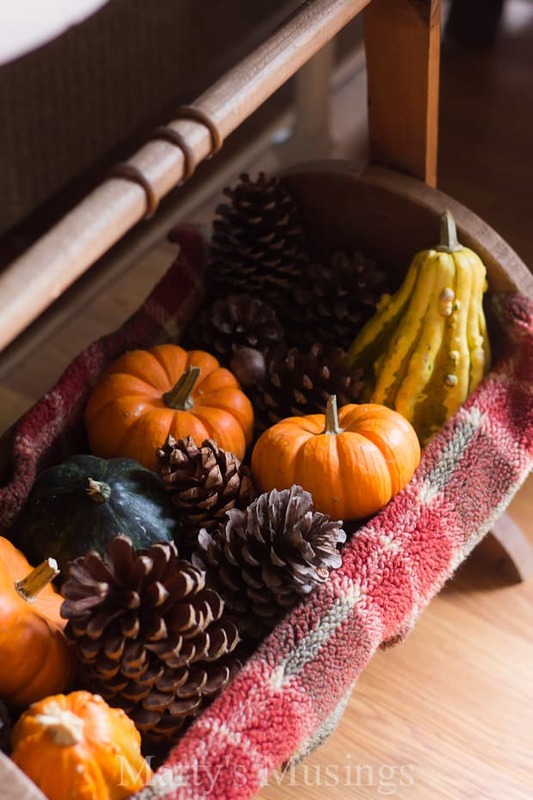 Here’s a little vignette I came up with this year using mostly natural elements or leftovers from last year. 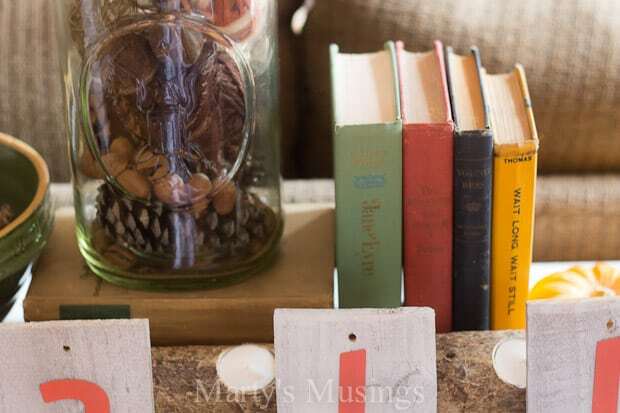 some old books, a jar full of yarn balls, pine cones and acorns. 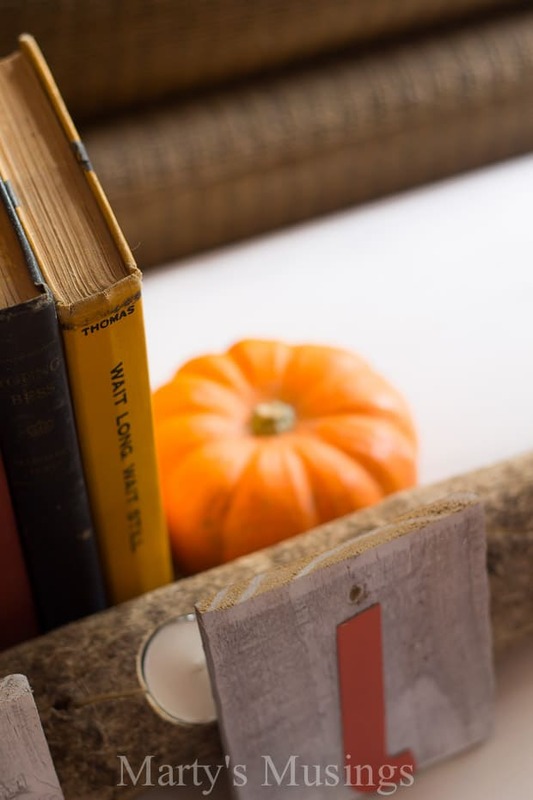 One little mini pumpkin gives a pop of orange poking out from behind my branch candle decoration. 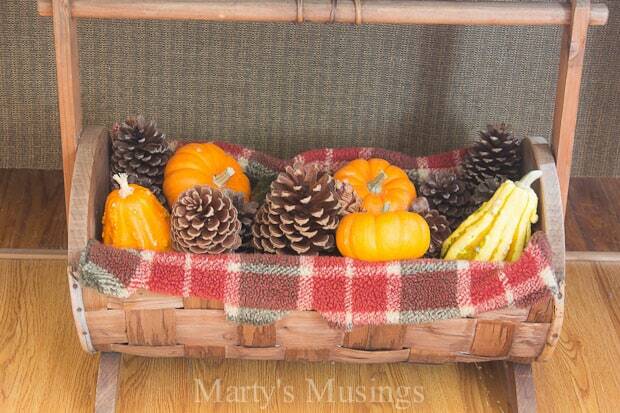 Underneath the table is a yardsale basket filled with pine cones, gourds and pumpkins. The fabric? An old sweater ripped and used as a lining. Fancy? Not in the least. Perfect? Imperfectly perfect for me! 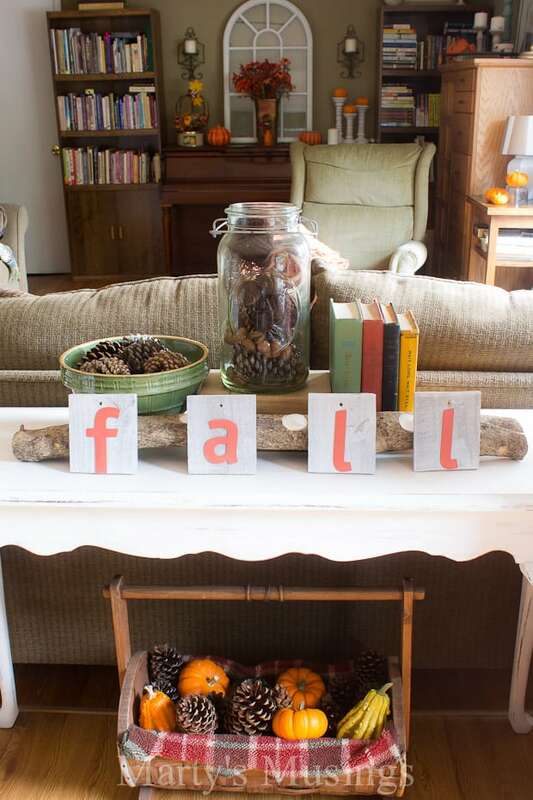 If you look carefully you can see a little bit of my fake imitation mantel which I’ll give you all the details on soon, including the scoop on that adorable yard sale window. 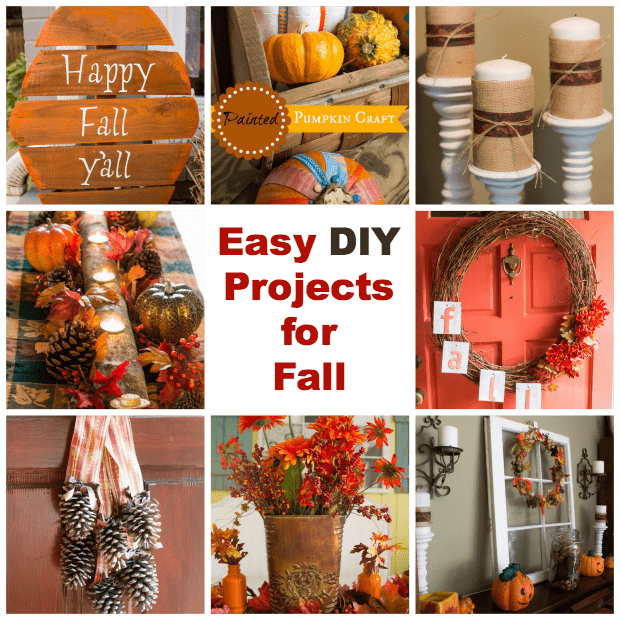 Have you seen any of my fall projects from last year? Apparently I had more free time then! 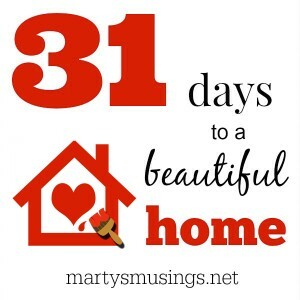 Have you joined me yet for my 31 day series?